Amazon has cut ties with Hensel European Security Services, a German firm whose staff has been accused of mistreating seasonal workers.”Amazon has a zero tolerance limit for discrimination and intimidation and expects the same of other companies we work with,” spokeswoman Ulrike Stoecker told the Associated Press in a statement. ARD, a German documentary program, reported last week that HESS guards intimidated and harassed workers from Spain and other countries. The program also alleged that the head of HESS had ties to Germany’s far right and that guards wore uniforms from Thor Steinar, a brand popular with that country’s neo-Nazi scene. It alleged that workers had been promised jobs working for Amazon, only to find that they had been hired by an employment agency at lower wages. Since 1997, the European Union has required employers to offer part-time workers wages and benefits comparable to full-time workers. It’s not clear if the use of employment agencies as the employer of record allowed Amazon to sidestep these rules. Amazon launched an investigation following the airing of the program. But the damage to Amazon’s brand and business may already be done. The report created an uproar online, particularly among German consumers. 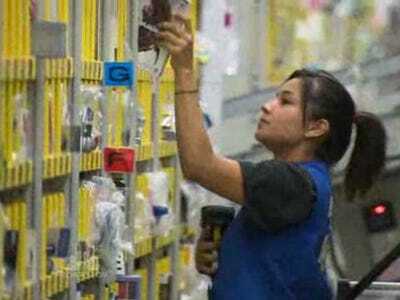 And it boosted organising efforts, with workers at one Amazon logistics centre approving a staff council, a step giving employees more say over working conditions. Norbert Faltin, an Amazon employee who’s also the representative of German trade union Verdi at his unit, told Deutsche Welle that he’d received a lot of complaints from workers over the holiday seasons.